Deputy Chief Logan started his NPD career in November of 1993. He was promoted to Sergeant in August of 2010 and the rank of Captain in November of 2016. 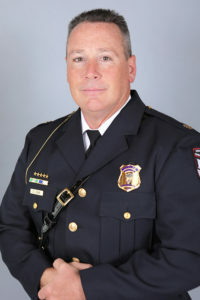 During his 23 + year career at the Newark Division of Police he has served as a Patrol Officer, Officer Coordinator, Firearms Instructor, Honor Guard, Patrol Sergeant, Training and Accreditation Sergeant, as a member of Special Operations Group (SOG), and a sniper. He currently serves as the Detective Bureau Commander.